Netflix has an impressively large library, but the Netflix movie and TV choices you’ll see in the U.S. are different to what you’ll see elsewhere. 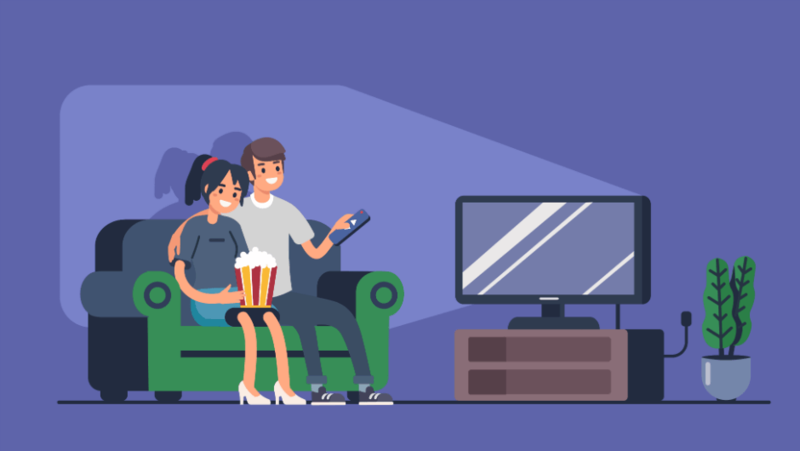 With a Virtual Private Network (VPN), you can unlock even more movies, TV shows and documentaries with a click. We round up the best VPNs for Netflix, helping you stream to your heart’s content. Netflix can detect which country you’re browsing from, and it will only allow you access to the version of Netflix that’s set for your country – unless, that is, you use a VPN. You’ll need to choose carefully when picking a VPN, as there are quite a few available and each has its own strengths. Of course, the first thing to make sure is that it can actually unblock Netflix – not all of them manage this (even those that claim they can). But, we’ve picked the best VPNs for Netflix below that are up to the job. PureVPN – The best all round VPN service we’ve tested. As well as unblocking Netflix, PureVPN also has a host of great privacy options, designed to protect you. It’s easy to use, and a fantastic all-round VPN. TorGuard – Effectively accesses Netflix via VPN. A good choice for those new to VPNs, TorGuard’s interface is filled with clear buttons that remove any confusion for first-time users. CyberGhost – Simple to use and works with Netflix. CyberGhost offers plenty of support options, and has an ‘unblock streaming’ feature to access Netflix. The ad-blocking and tracker blocking features make it very secure. We’ve tested the three services above to ensure they can successfully unlock Netflix if you’re trying to access it over a VPN. A lot of VPN services will promise this, but not all deliver – we’ve tested over 20 VPNs in the past year, and plenty fail to unlock Netflix. How do VPNs let you Access Netflix? Is it Legal to Access Netflix via a VPN? PureVPN is a great choice for novices and more experienced VPN users. It offers a robust suite of services, neatly packaged with an easy to use and understand interface. It lets you access an overseas Netflix account if you use the browser extension for PureVPN and access Netflix via the browser. As well as the ability to unblock Netflix, we really like the suite of options that PureVPN offers, including the ability to turn your device into a VPN hotspot, or to fine tune it so that selected apps will use the VPN, while others will use your traditional ISP. It also comes packed with Ozone and Gravity, its own anti-virus and and ad-blocker features, respectively. This really helps turn it from a VPN package into something more well-rounded and essential for daily internet use. Access Netflix over a VPN with our top-rated provider, with 77% off RRP – get PureVPN for just $2.48/month. TorGuard is a well-priced VPN service with a large list of options for how to use the service. Its Stealth VPN feature has been developed to evade VPN detections, making it an ideal choice for accessing Netflix. In our tests, it successfully connected to the service, and it’s a great value choice, too. We found TorGuard to be capable of fast speeds, an element that can suffer when using a VPN, perfect for binge streaming. 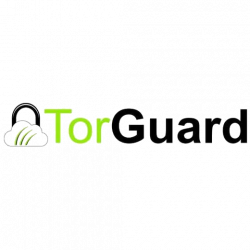 There are a wealth of in-depth options and features with the TorGuard package. The good new is that if you’re a casual user you can just leave them alone and have a great experience still, but for those who want to tinker under the hood a little, the option is there. 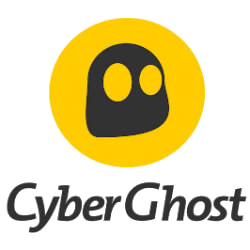 A nice choice for first time users, CyberGhost goes out of its way to be as logical to use as possible. It has simple icons to select for the VPN service you need, including a handy ‘Unblock Streaming’ option, for Netflix. There’s a handy CyberGhost app on tablets and phones for accessing Netflix on those devices, too. CyberGhost has ad-blocking, tracker blocking and web blocking functions all built-in, so you can feel safe while you browse or stream. It also has excellent support features should you need help. As well as the usual walkthroughs and guides, customers can also access email or live chat support. You can save 77% off CyberGhost’s RRP when you sign up to a 1 year plan. VPNs have risen in popularity in recent years, thanks largely in part to geo-locked content like Netflix. When you try to access material that isn’t intended for your country, the service provider knows exactly where you are based, thanks to the information sent by your server, and either blocks you off outright, or redirects you to your country appropriate site. What a VPN does is route your traffic through a virtual server, located in the country of your choice. If you’re in the US for example, and want to access Canadian Netflix, Netflix checks the server you are coming from, sees it’s based in Canada, and assumes everything is fine. Of course, you’re not actually in Canada, you’re happily sitting in the US – but Netflix doesn’t know that. VPNs can be enabled in several ways. The most common is a simple browser plug-in or piece of software on your computer that you can use to select the server you want to access. If you’re a heavy smartphone or tablet viewer, then don’t despair – there are dedicated VPN apps, too. If you like to watch on the big screen, then you can do this through a variety of methods. Some VPNs can be installed at a router level, so all devices in the home (including your smart TV) can use the service. Others can be installed on the smart TV itself, but these aren’t very common. Of course, you can always connect a laptop to a TV, either via screen casting/mirroring or a humble HDMI cable, and watch Netflix that way. Let’s start with the good news – using a VPN isn’t illegal, unless you’re in a small handful of countries such as North Korea or Iraq. In other countries, VPNs are Government controlled, as is the case in China or the United Arab Emirates. But, if you’re in America or Europe, you’ll be fine. It’s also not illegal to access another country’s Netflix content. That’s not to say it’s a entirely permitted, though. Netflix itself frowns on the practice. Netflix used to have a very no-nonsense clause in its terms that stated that using a VPN was against its terms of service, and that it actively used systems to detect subscribers who did this. While this has since been removed and replaced with more vague comments about content protection, don’t assume that Netflix is happy with opening its doors to subscribers the world over to access whichever content they want. The reason it doesn’t want you to access all these films and TV shows in different territories is down to licensing agreements with the studios it works with. For example, a film might be cleared by the studio to be on Netflix in one territory, while in another it has an exclusivity deal with another streaming site. So what happens if Netflix does catch wind of you using a VPN? Worst case scenario, it could feasibly block your account. But there are no known instances of this happening to date – it’s more likely you’d simply see a message blocking you from accessing Netflix over the VPN. The battle between Netflix and VPNs has been raging for some years, and it’s a real war of inches, with the streaming giant fighting against the adaptive tech of the VPN companies. With studios famously protective of their properties, and Netflix keen to not bite the hand that feeds it, you can understand the bind it finds itself in, even if blocking access to paying customers seems something of an unusual business decision. In 2014, before Netflix had reached Australia, there were a reported 200,000 Australians access the service via a VPN. While they now have their own version, Australian residents have been known to complain that it’s not a patch on the US offering, so the incentive to use a VPN remains. Netflix has been vocal about users attempting to thwart around its geographic restrictions, even if the founder of Netflix, Reed Hastings, is on record as saying ‘It’s a very small but quite vocal minority. It’s really inconsequential to us’. The way the service mainly tackles it is by identifying the VPN servers that are accessing the service and blocking them. Your Netflix account will be unaffected, but you won’t be able to continue using that same server. The good news is that any VPN worth its salt will have hundreds of servers available, and will constantly introduce new ones, so you can watch your films unabated. As for what the future holds, it’s unlikely that we’ll see the digital barriers being torn down any time soon. But, with some countries calling for the removal of geoblocking services, including strong posturing in the EU, we could well one day see a time when using a VPN to unblock Netflix is unnecessary. For now though, grab yourself one of the ones we recommend, and get watching.